My first wedding of 2019 was also number 250 of my career and honestly, I couldn’t imagine spending it with anyone other than Jaye + John! Despite chilly temperatures and plenty of wind, their day was pretty much perfect. 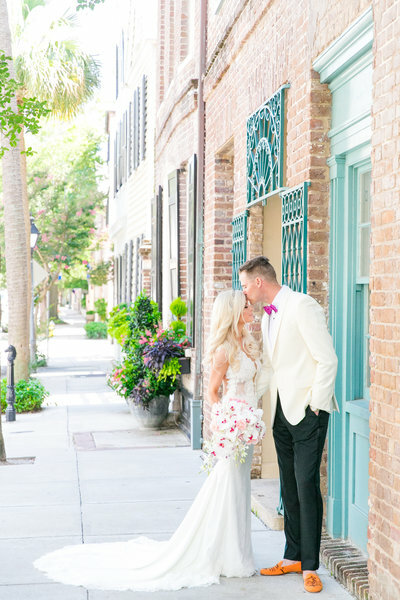 We started their day with a sweet First Look in downtown Charleston before meeting up with their friends + family at the College of Charleston Cistern for group photos. Jaye + John met and fell in love at C of C, so doing the bulk of their wedding day photos there was super special.